We have the skills and equipment to install and service your landscape irrigation systems. We work with both commercial and residential customers using all the major brands. Treat you lawn right and it will reward you with barefoot comfort and a stunning appearance. Your lawn (and landscaping) need both food and water, just as you do. 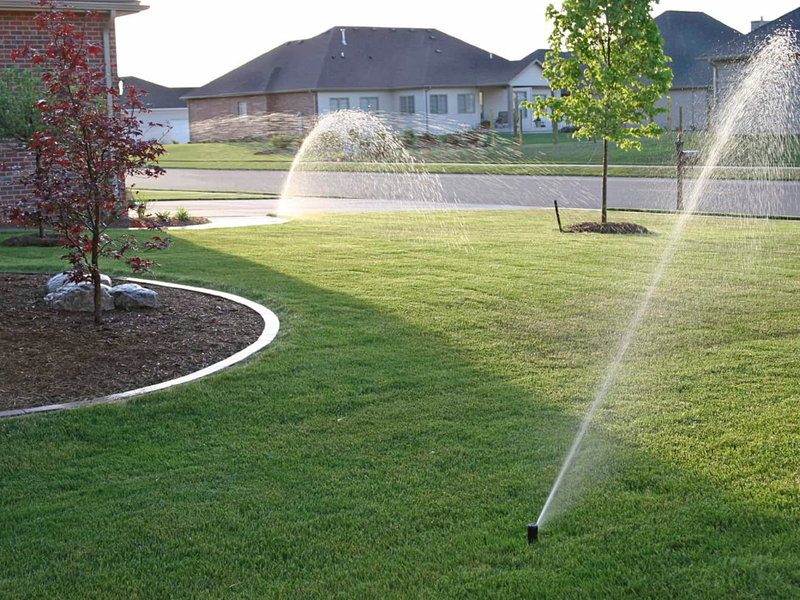 Let us help you install or maintain your lawn sprinkler system. We have the skills and equipment to install or service your lawn or landscape irrigation system. Looking for a new system? Using the latest CAD (computer aided design) tools helps us provide you with the best system for your property. Looking for service? Our trained technicians have a dedicated service truck. Our dedicated irrigation and sprinkler installation and service truck will save you time and money. Our truck is stocked with many common maintenance parts making it more likely that we can fix your system in a single trip. Whether you need a rotor head, spray head, drip valve, or a controller to service your irrigation system we are likely to have it when you need it. From rain sensors to valve boxes we are ready to make your sprinkler system effective, and efficient. We install the latest in wired and wifi controllers. We can repair or update your existing systems and extend the life of the basic irrigation plumbing system to save you money. 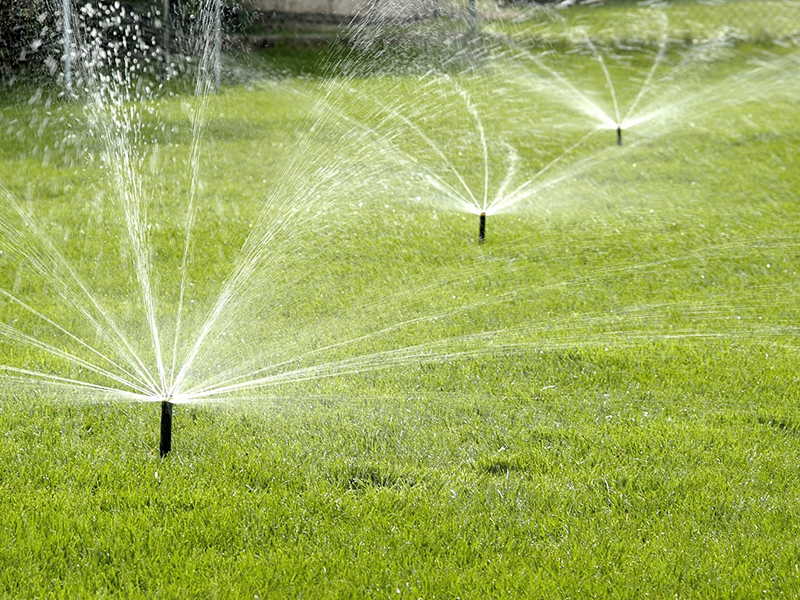 As part of our comprehensive set of landscape services we offer both drip and in ground irrigation systems. A drip irrigation system will allow your plantings to thrive and are economical to install and use. Our drip irrigation systems help your plantings, whether they be annuals, shrubs, or trees look their best and reach their full life span. This not only makes them work well in your landscape but saves money as it reduces replacement costs. When nature does not provide enough water, or location or soil type does not retain the moisture your plants need, a drip irrigation system is often the best option. For lawns Benchmark installs underground irrigation systems. An underground irrigation (sprinkler) system is the best way to keep your lawn performing the best throughout the full growing season. We will custom design your irrigation system to match the soil type, grade, and shade conditions so that you get the best results with the lowest install cost and water usage. 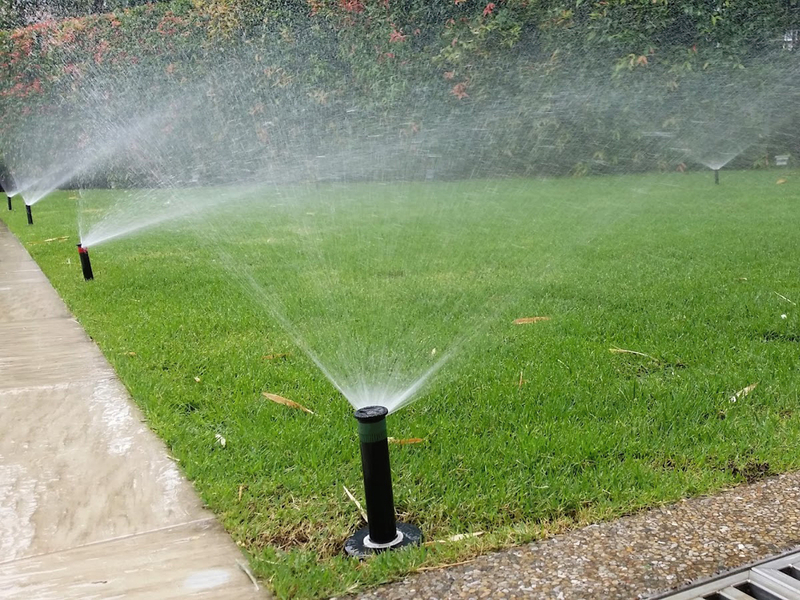 We also install automated sprinkler control systems that allow you to apply the needed water when it is most effective. We offer seasonal service to assure that your sprinkler or irrigation system will work correctly and reliably year after year. Your irrigation system is an investment in the health and appearance of your landscape. Protect your investment by having us winterize your irrigation system. Don't be tempting to try and winterize your system yourself. The average residential air compressor does not have the capacity to clear all the water from your system. Benchmark Landscape Management calculates the correct pressure and required CFM for each zone. We then apply the correct pressure and volume needed to remove ALL the water from your lines. Our irrigation technicians also check your system for damage. We protect your controllers, valves, and other components. 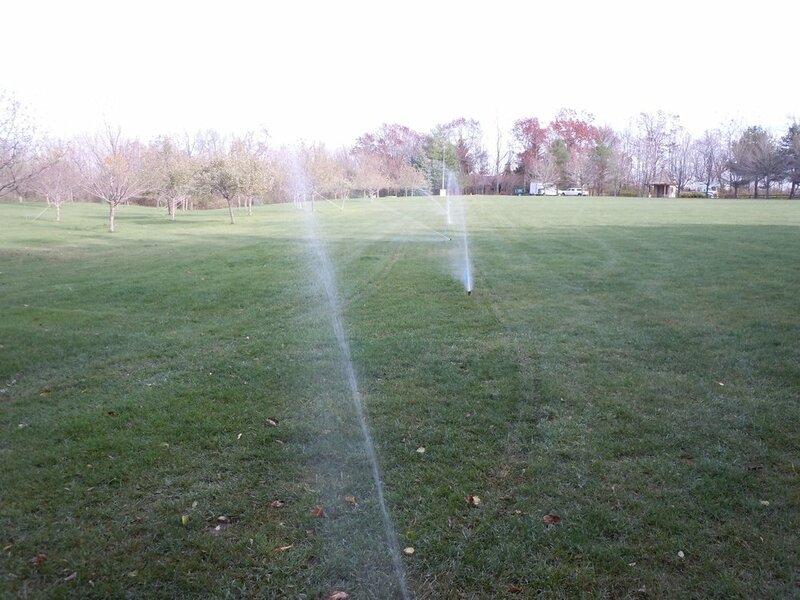 We make sure that your irrigation system will be ready when you need it next year. inspect systems for damaged sprinkler heads and components.